NetSuite provides a cloud-based, end-to-end multi-channel order management solution that manages all aspects of the order lifecycle and ensures seamless control of customer orders, from order receipt to financial settlement. 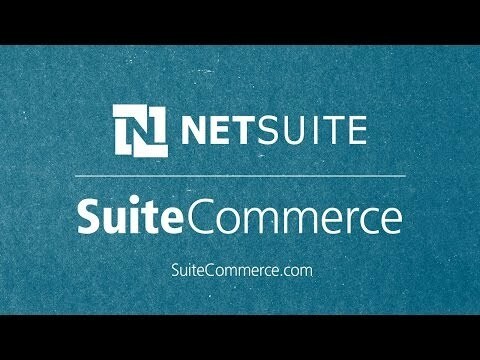 NetSuite Order Management System (OMS) eliminates the errors and time spent manually transferring orders from the web store to inventory, shipping and accounting and enables a true omnichannel customer experience by helping merchants provide a buy anywhere, get anywhere, exchange anywhere experience. There are currently no reviews of NetSuite Order Management. Below are some frequently asked questions for NetSuite Order Management. Q. What type of pricing plans does NetSuite Order Management offer? Q. Who are the typical users of NetSuite Order Management? Q. What languages does NetSuite Order Management support? Q. Does NetSuite Order Management support mobile devices? Q. Does NetSuite Order Management offer an API? Yes, NetSuite Order Management has an API available for use. Q. What other apps does NetSuite Order Management integrate with? Q. What level of support does NetSuite Order Management offer? Q. Which apps is NetSuite Order Management compared to most often?